This is sweeeeet! 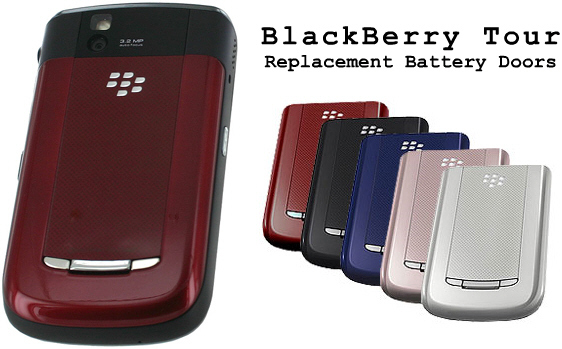 While you're waiting on your BlackBerry Tour to complete its operating system upgrade, you may just want to jump over to the ShopCrackBerry store and check out what just got added... replacement battery doors for the Tour! These are OEM (BlackBerry brand) doors and come in a variety of colors. Blue and red are already in stock and shipping, and our e-commerce team let me know the silver, pink and black doors are in-transit (arriving shortly), so you can pre-order now to be first in line to receive them. Each door sells for $17.95 (MSRP is $19.95) and are a great way to add a touch of personalization to your device. On the same topic, the e-commerce team also let me know that more colors are now in stock for the Seidio Innocase 360 and Innocase Surface II for the Tour.